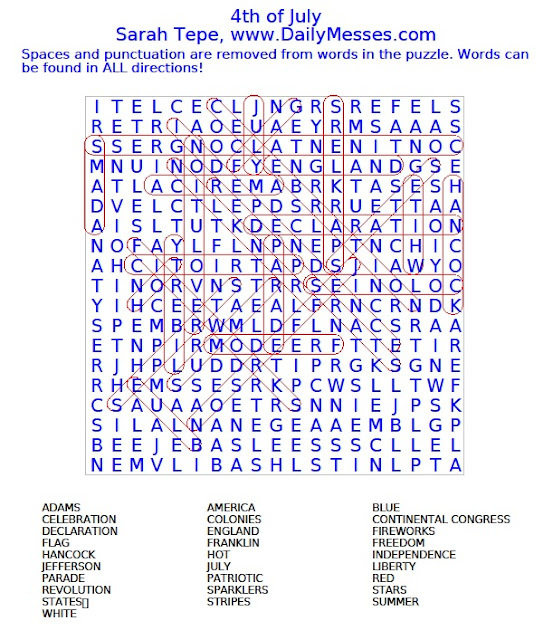 I keep losing track of time. 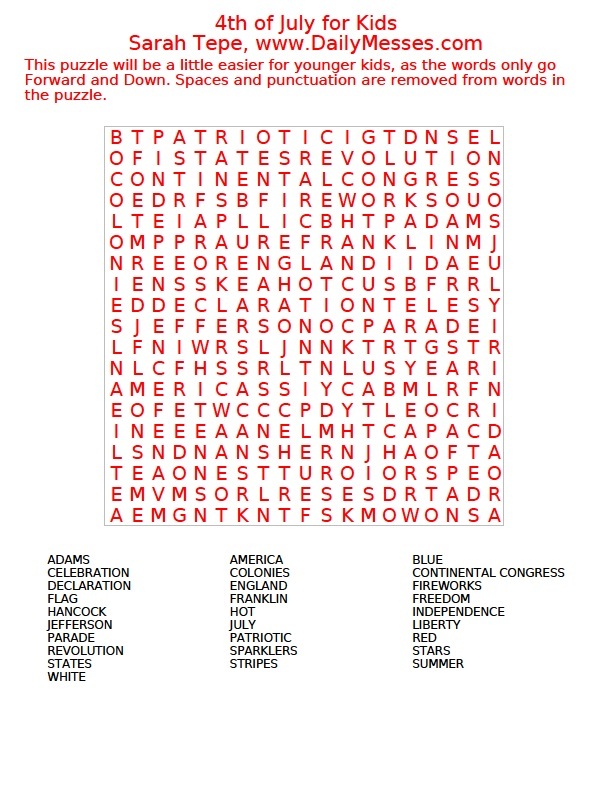 How is it the 4th of July on Monday?! 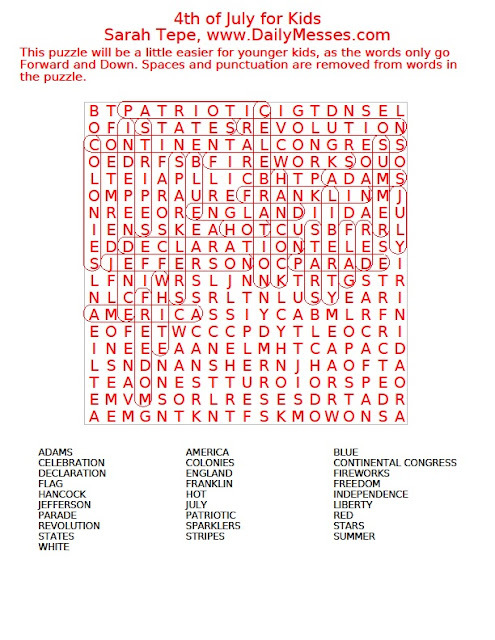 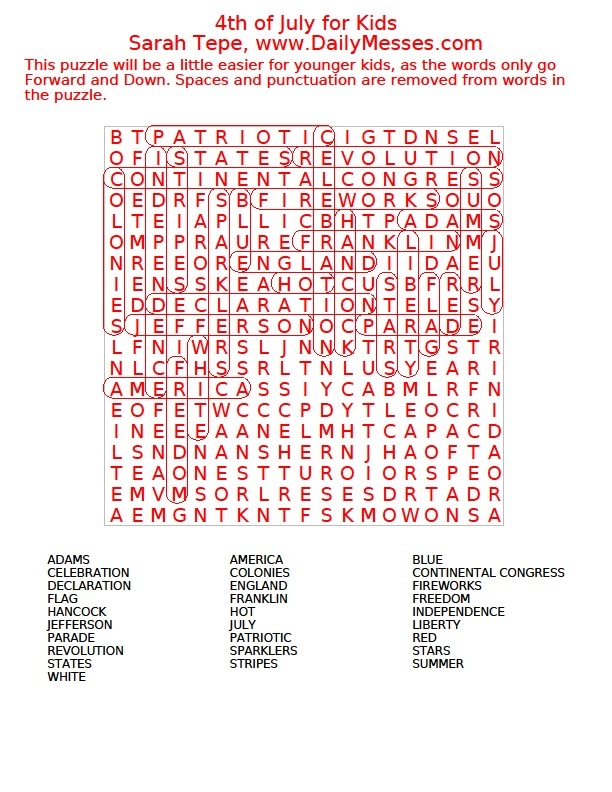 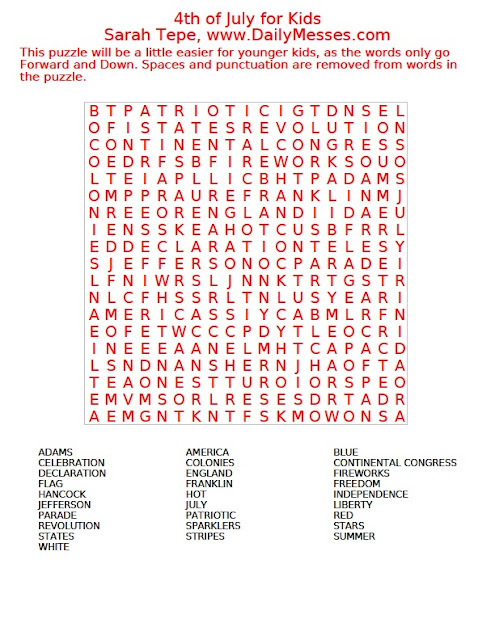 Here is a 4th of July themed word find. 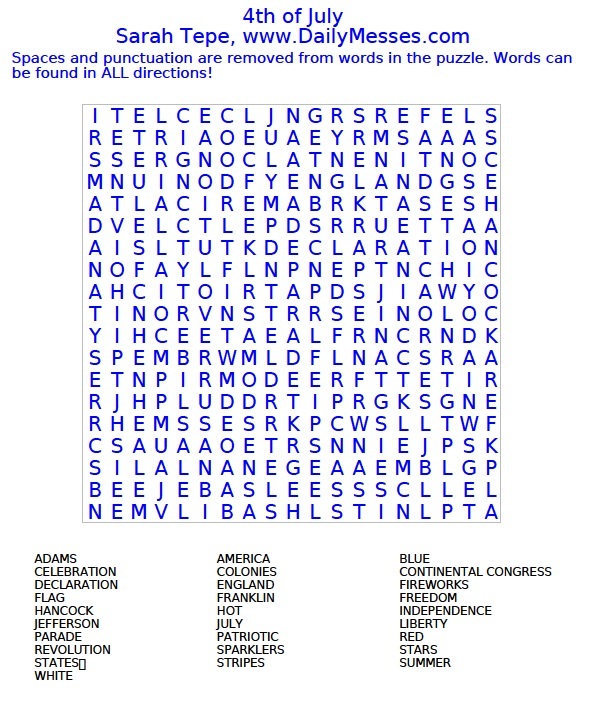 Higgins likes word finds, but has trouble with finding words diagonal and backwards. There is another word find below (in red) that only goes Forward and Down.